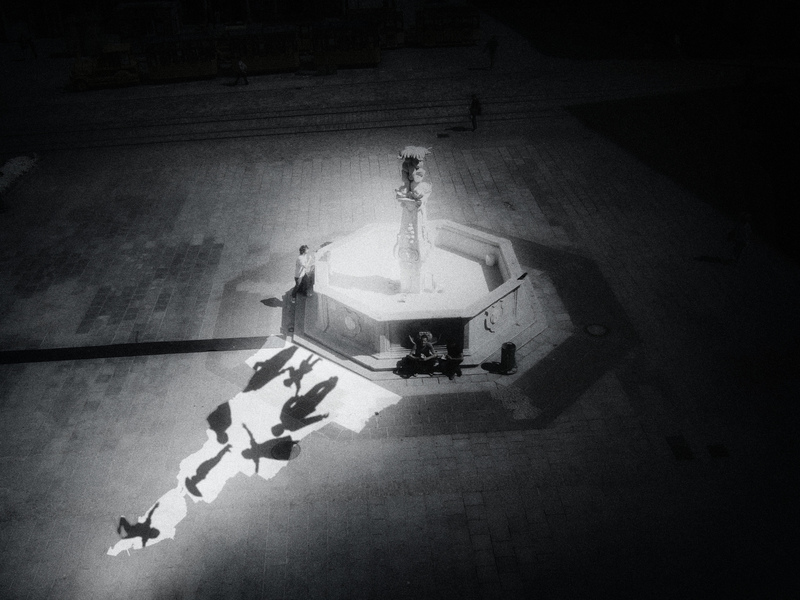 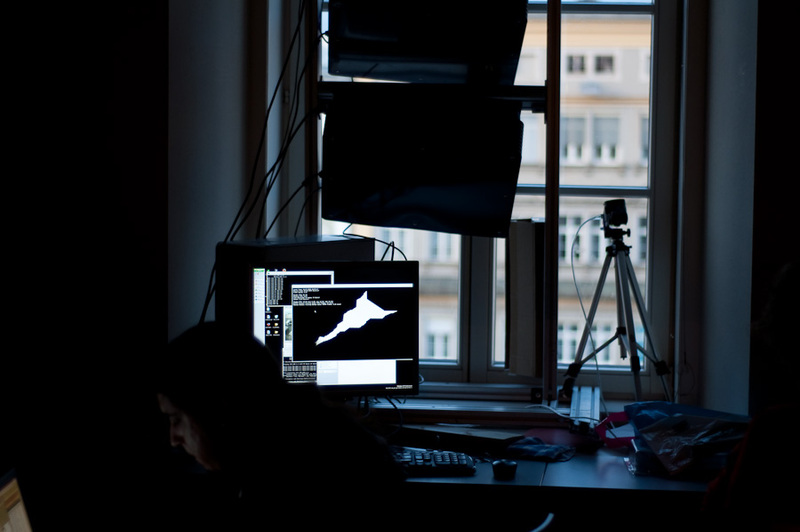 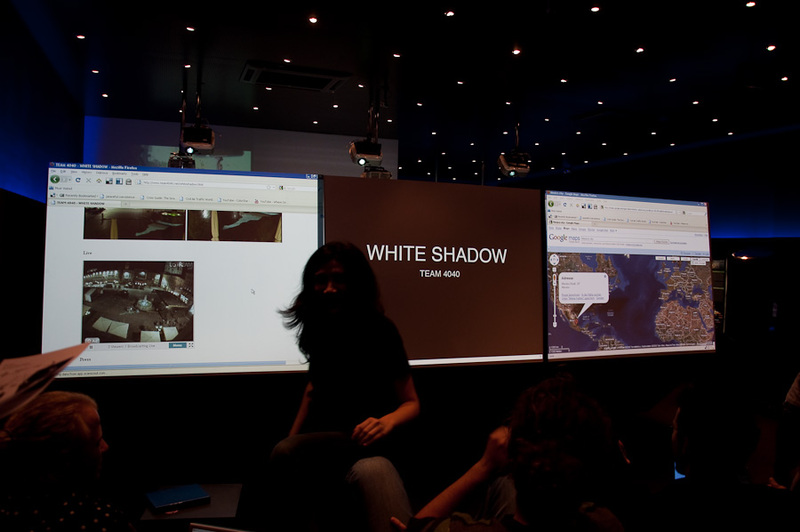 White Shadow is a telematic sundial connecting people from Mexico City and Linz through their shadows. 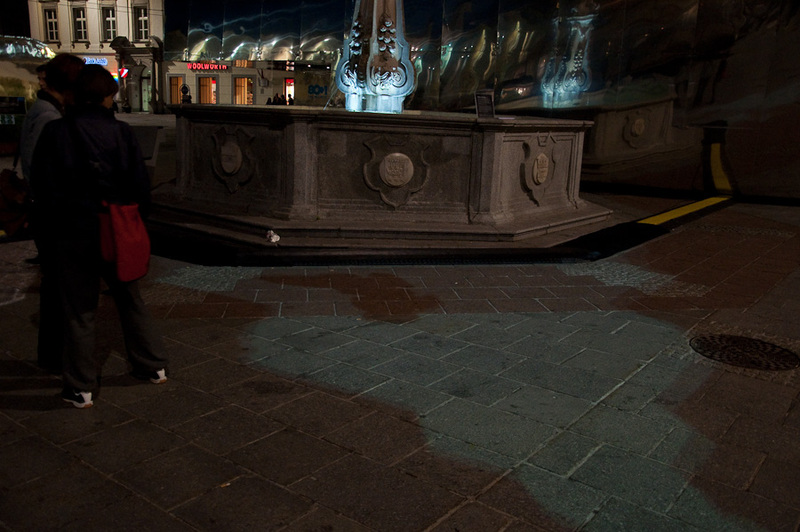 Linz and Mexico City are physically 8 hours apart. 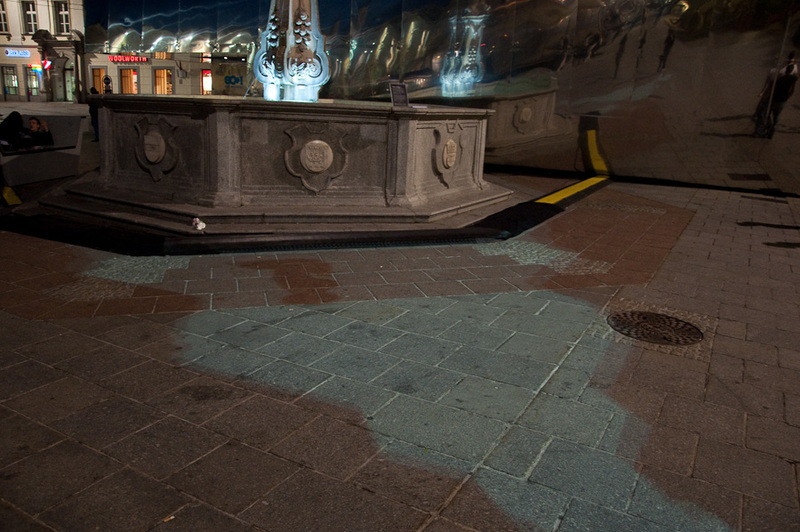 At any given time people in these two cities are experiencing opposite phases of the day and night cycle. 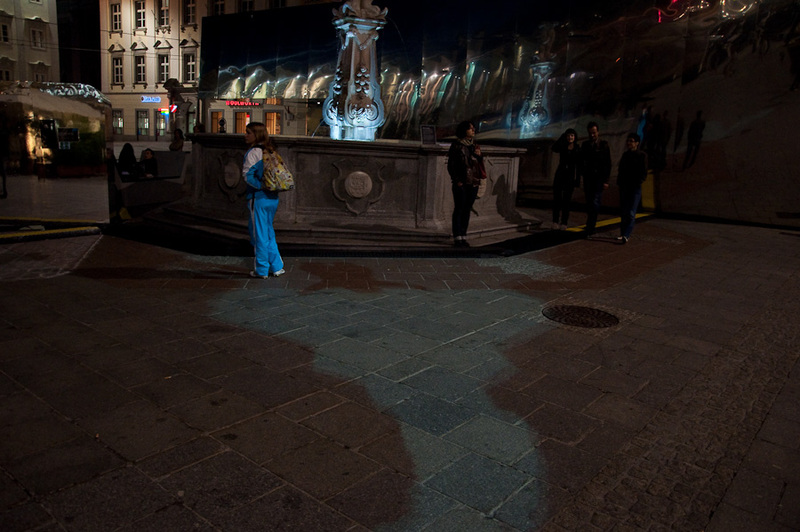 As nighttime falls in Linz, its shadows fade out and the shadows in Mexico City grow longer. 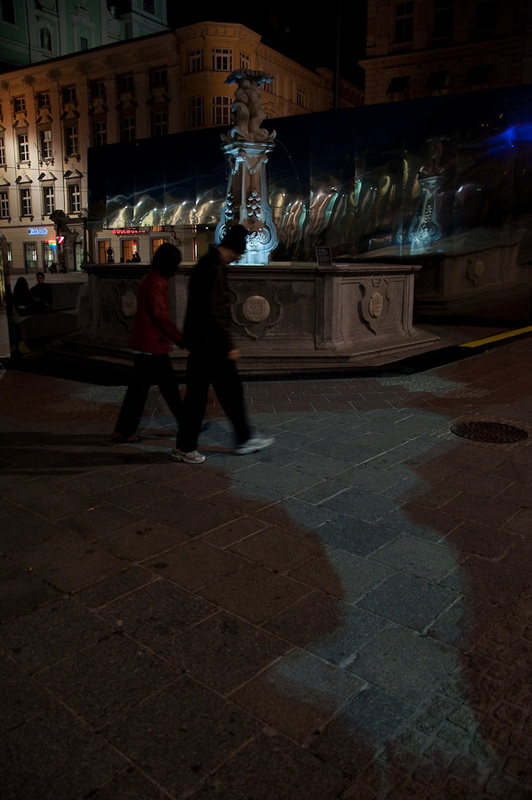 It is during these hours that the shadows of a monument (appearing in white) and passer-by migrate from Mexico City to the Hauptplatz in Linz. 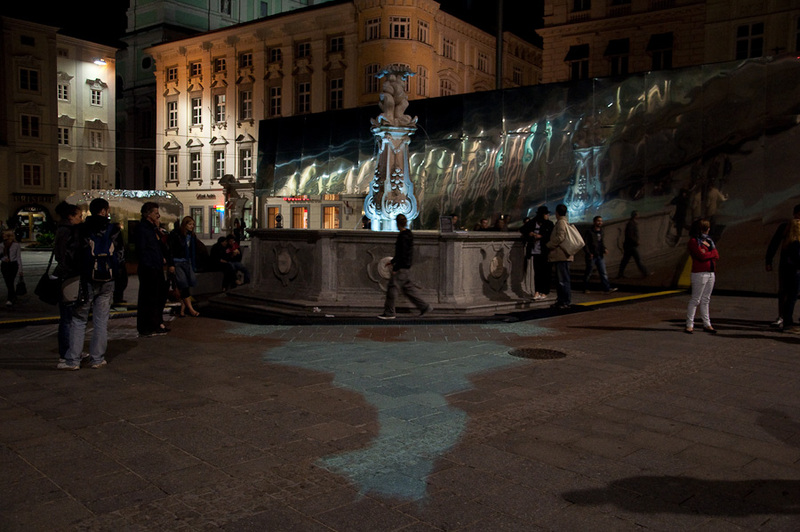 It mimics the original shadow in size and shape, emulating a sundial. 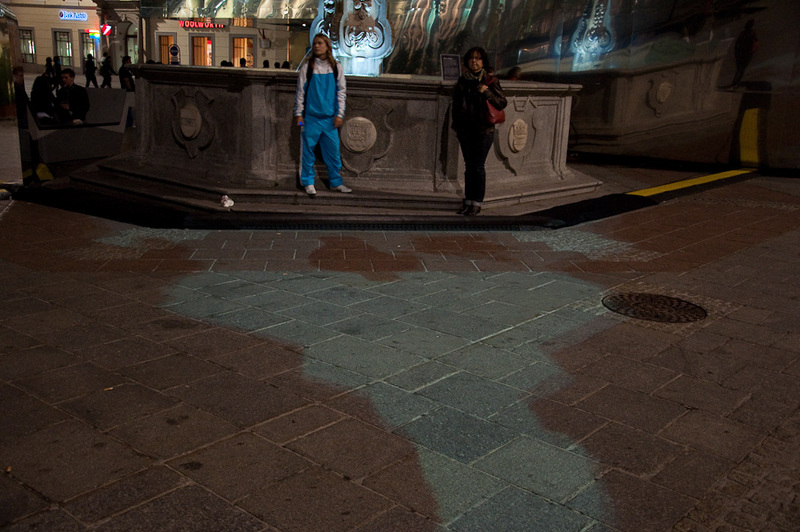 This white shadow provides the backdrop for projecting the silhouettes of passers-by in Mexico. 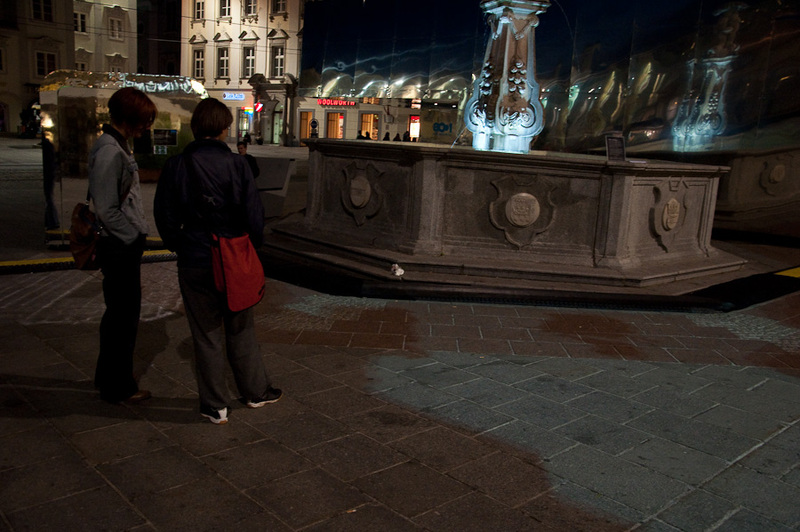 As people in Linz step into the white shadow, their own shadows will also fall on it and meet the ones from Mexico.